There are a few blood tests that are used to diagnose hyperthyroid conditions, such as Graves’ Disease. 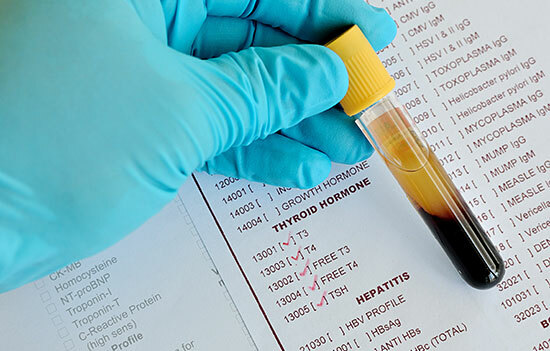 Using standard thyroid blood tests can be helpful in diagnosing thyroid conditions, however do not rely solely on these test as a confirmation of a potential thyroid condition. 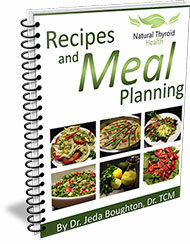 TSH – The thyroid stimulating hormone is a pituitary hormone that stimulates your thyroid to produce more hormones. TSH is released in response to levels of T3 and T4 in your pituitary tissue. When T3 and/or T4 levels are high your TSH is usually low so that your thyroid is not over stimulated to produce too much hormone. When your T3 and/or T4 levels are low your pituitary gland will normally produce higher levels of TSH to stimulate your thyroid gland to release more hormones. Free T4 (FT4) is the storage hormone released by your thyroid gland, which is converted into T3 in your tissue. Free T3 (FT3) is the active thyroid hormone that is released by your thyroid gland and converted in your cells from T4. Thyroid Stimulating Immunoglobulin (TSI) measures the thyroid antibodies that are present in your blood to determine if you have Graves’ disease. However, if these antibodies are not present it does not rule out Graves’ disease. In conventional medicine, these are the typical tests medical doctors depend on, once you have a hyperthyroid problem indicated by one of these blood tests, their next step is to put you through radioactive iodine therapy or prescribe anti-thyroid drugs. Usually these blood tests are out of normal range when your thyroid condition is severe or has existed for a long time. This means, for example, that having a TSH blood test with results lower than the reference range confirms your hyperthyroid condition. However, it is important to note, you may still have a thyroid condition when your blood test results are within range. Blood tests can indicate which mechanism of action is causing your thyroid problem but they cannot diagnose why your problem exists. For example, a low TSH and T3 with a high T4 is usually an indication that your thyroid is functioning normally but your body’s ability to convert T4 to T3 may be suboptimal. In this case the goal is to determine the factors contributing to your poor T4 to T3 conversion. 4-point cortisol – this test evaluates the health of your adrenal glands. It consists of collecting four saliva samples at various times throughout the day to reveal your cortisol level patterns. Hair analysis – This test is done to assess mineral deficiencies as well as the presence of toxic chemicals, both of which can affect the functioning of your thyroid. If you’re suffering from Graves’ Disease and you’re interested in taking one or more of these tests to learn what is causing your condition, talk to a holistic health physician who specializes in endocrine dysfunction. Most general medical physicians and endocrinologists are not familiar with these tests because they were not trained in medical school to find the cause of the condition, but instead to treat your symptoms. A holistic doctor who specializes in treating thyroid disorders can help get you on the path to restoring your health.